A quick post. Tuesday is known as “New Girl and White Wine Day” around these parts. 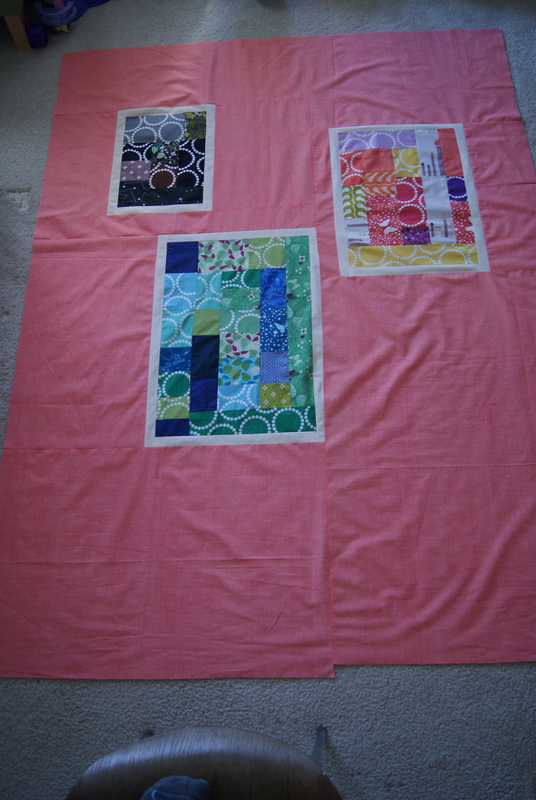 I’m so glad I did the pieced back (sort of) as written in the pattern (found here). Maybe it’s the Coral Sketch. This color is making me feel springy inside! Maybe it’s the improv blocks. Most likely it’s the Cream Sketch sashing around the back blocks. 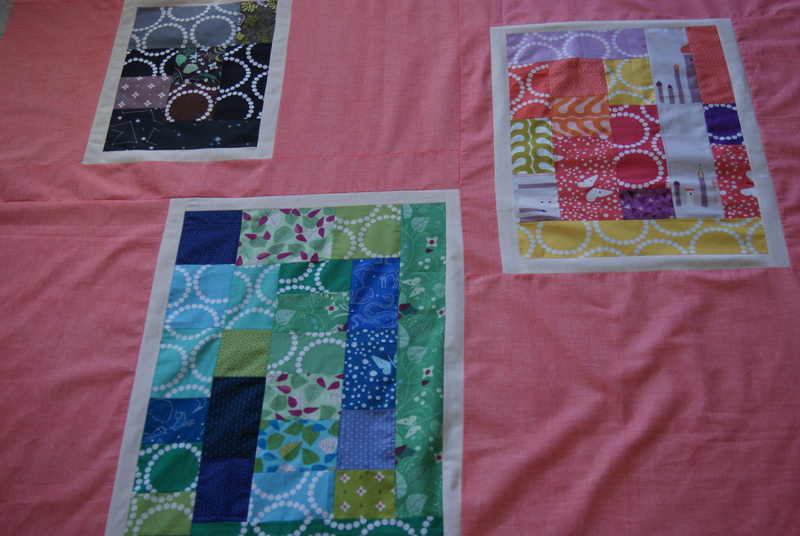 Right now I’m digging the back of this quilt much more than the front! I’m dense-straight-line-quilting this sucker, so will be buried under a quilt pile most of this week. Already starting my next project in my head, though (no, it’s not Feather Bed; I need an attack strategy for that one! ), so stop back this week! Tuesdays are New Girl night for us too. The quilt back looks great!